« What’s on China’s Mind? Greece went into recession in Q4 2014 (yes, BEFORE Syriza came to power). Since then, there has been a considerable fall in output caused mainly by lack of confidence. On top of this, the Greek sovereign has been running substantial primary surpluses all year in order to maintain payments to creditors in the absence of bailout funding. It has done this not by collecting more taxes but by a considerable squeeze on public spending: this has mainly taken the form of delaying payments to the private sector. Additionally, the private sector itself has cut back spending and investment. The result is that real incomes have tumbled, unemployment has risen and loan defaults have increased. Non-performing loans in the Greek banking sector were already high at the beginning of the year but are now believed to have risen substantially. This is the principal cause of the possible insolvency of Greek banks. This entry was posted on 23. Juli 2015 um 07:41	and is filed under Artikel. 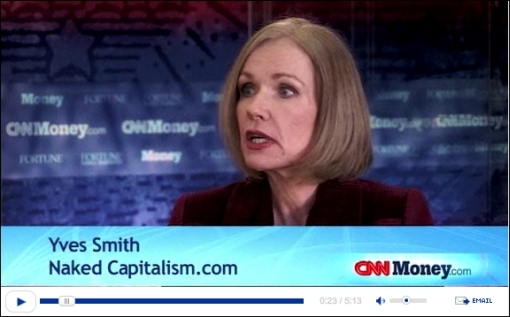 Verschlagwortet mit: Banken, Greece, Haircut, Insolvency, Naked Capitalism, Smith. You can follow any responses to this entry through the RSS 2.0 feed. You can leave a response, oder trackback from your own site.